Google Pay Per Clicks ads or PPC are Google’s paid form of advertisement which is extremely effective if managed properly, otherwise you will lose a lot of money and get unnecessary clicks. 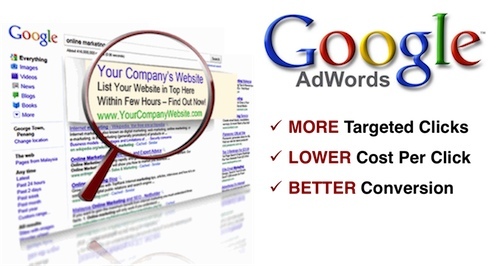 Through Google ads you’ll be able to reach out millions of potential customers and clients either locally or nationally. Google shop for selling products. Google PPC ads are the ones that show up on top of the search result or on the right side. The position of the ads depends on the cost of the clicks, your daily budget, the quality score of the ads and more. The higher your quality score is, the lower the cost of the clicks will be. As we all know Google release all about quality and offering the best search results to the visitor. The pay per click campaigns used to be a lot easier and more straightforward, but Google had a lot of complaints from the visitors that the search result that was coming up in the paid advertisement section, was not really relevant to the keyword that people were searching in Google. In order for Google to give the best source result in the paid ads section, they came up with what is called quality score. Basically the more relevant your ads, website or landing page is to the keyword the you are targeting, the higher your quality score and the lower the cost of the clicks will be. Basically this is Google’s way of telling businesses that “Make your website relevant to the keyword that the visitor is using in order to find your business and I will give you a break and decrease the cost of your clicks. Meanwhile I will increase your visibility”. determine which ads are working and which ones are not. Google’s paid ads campaign requires constant monitoring and setting up the ads could be a very complicated task which needs to be done by experts. Most other people, do this the wrong way and end up paying much more than what they’re supposed to while, they did little or zero results. At expert will do a complete keyword research, set your ads properly so you would get laser targeted traffic based on your services or products, while increasing the quality score of the ads which will result in increasing the visibility and decreasing the cost of the clicks. Creating landing pages, if necessary, to increase the quality score and decrease your cost. Bringing laser targeted traffic to the website so you get the maximum result for your budget. Create remarketing campaigns so your ads will follow the visitor. Monitoring the campaigns on the regular basis to make all the necessary changes to keep your ads on top of the search result. In summary having an expert managing your pay per click campaigns, will result in spending less money on your ads while getting much more visibility and targeted traffic. FREE VIDEO training will teach you everything you need in order to get NEW customers, clients or patients daily.